Category 2 – ‘Keramod® Gel’ – an innovative 5% Imiquimod film-forming formulation to enhance patient´s compliance by reducing side effects developed by Laboratorios Ojer Pharma https://lnkd.in/d_dBKFE More information about the prize winners will be available in the coming weeks! in order to promote awareness, and to promote more initiatives and research in these areas. From now on, both 1) and 2) will be named ‘projects’. The submission of the projects by the applicants implies their acceptance and binding to the present regulation. Respect all the conditions provided in this Regulation. People with employment, internship or membership of Medicines for Europe cannot apply for this award. Family members up to the 2nd grade of any Medicines for Europe employee cannot apply. Members of the Evaluation Committee and family members up to the 2nd grade of any member of the Evaluation Committee cannot apply for this award. Each applicant or group of applicants may submit an unlimited number of applications, taking into account that each of the submissions must relate to different projects. Your submission to the present initiative must have been duly authorised by the institution(s) in which the candidate (s) performs functions and/or where the project took place. For the purposes of this Regulation, the ‘scientific research/project’ means any project that includes empirical research and fieldwork (laboratory, medical, social or otherwise) including, but not limited to, clinical trials and excluding projects that translate into mere collection and treatment of information already contained in articles and writings of others. (b) the Representative’s Statement – statement where the group responsible for the work/institution nominates one representative for the group. The submission of the information of the project must be written in English. Medicines for Europe is not responsible for the possible loss and non-receipt of applications caused by interruptions or network failures. Applicants’ e-mails must be active and up-to-date throughout the duration of this initiative. Medicines for Europe reserves the right to exclude projects that do not comply with the provisions of this Regulation. In particular, if it considers that they violate the rights of third parties or if it was requested by the holders of intellectual property rights on elements included in the projects and/or administrative or judicial decision(s). Communication of information to applicants related to the value added medicines award. If the value added medicines sector group of Medicines for Europe finds that there are Applications that do not comply with the provisions of this Regulation, the application will be unfortunately denied. One representative of the value added medicines sector group, and/or the coordinator of the value added medicines sector group, and/or the communications manager of Medicines for Europe. 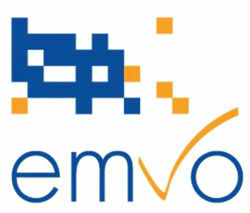 If deemed necessary and for the good appreciation of the projects, the members of the Evaluation Committee may use the support of specialised scientific societies or any other information relevant in the areas related to the projects selected by the value added medicines sector group and/or the Evaluation Committee. The names for the constitution of the Evaluation Committee will be proposed by the value added medicines sector group of Medicines for Europe. The decisions of the Evaluation Committee are taken by an absolute majority of votes and are sovereign and irrevocable, without any type of appeal. The Evaluation Committee reserves the right to request information and/or clarification from the applicants or their representatives, as the case may be, on the content of the projects, if it deems fit to an adequate evaluation of the projects. The Evaluation Committee reserves the right to not select any of the projects if none meets the intended quality requirements. 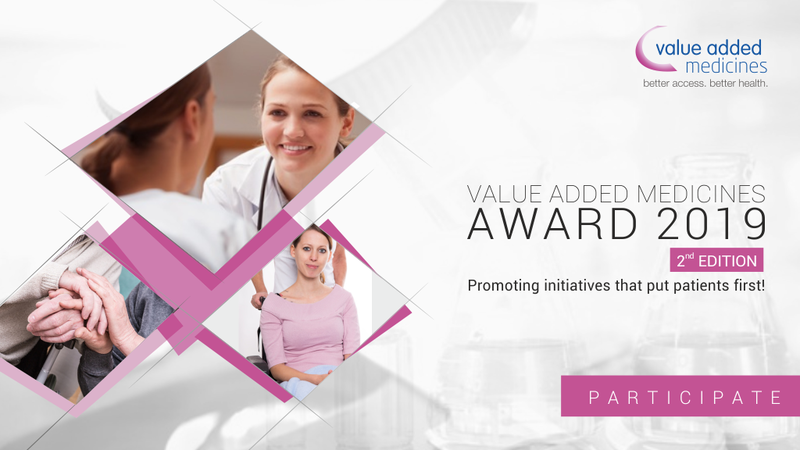 The winners of the value added medicines awards will be announced by the end of November 2019. The value added medicines sector group of Medicines for Europe will contact the winners or representatives of the winning group (as applicable), by telephone and/or email to announce that they were the winners of the awards. The public session for the awarding of the value added medicines awards will be on a date to be defined, taking place, in principle, until the end of 2019. Medicines for Europe will contact the winners after the communication of the winning award to request additional information deemed necessary for the allocation and use of the reward. Award winners grant Medicines for Europe a perpetual, worldwide, non-exclusive, free, transferable and sublicensable license to use, modify, translate and use in conjunction with or in other projects, reproduce, distribute, disseminate, communicate to the public without limitation of the means, place or form, the information on the project(s) submitted by the applicant, for any intended purposes, including but not limited to dissemination/promotion actions of this initiative, future initiatives and/or projects, mentioning always their authors. Medicines for Europe is the entity responsible for the processing of personal data processed under this initiative. Deadline for applications/receipt of works for the competition: 23:59 CET on 30th September 2019. The announcement of the winners: until the end of November 2019. The value added medicines sector group of Medicines for Europe reserves the right to amend this Regulation at any time, including the members of the Evaluation Committee and the time limits set forth herein.